Here is where you can find our competitive prices on all products and services. We ensure top quality concrete and durable tools to help you get the job done right. Depending on your job, different strength concrete is available. 32 MPa is generally used for sidewalks. If you are unsure what you need to use, please contact us at 780-447-4095. The cost of the cart rental is $25/hr up to a 4 hour rental. Anything over 4 hours, cart rental becomes $50/hr. 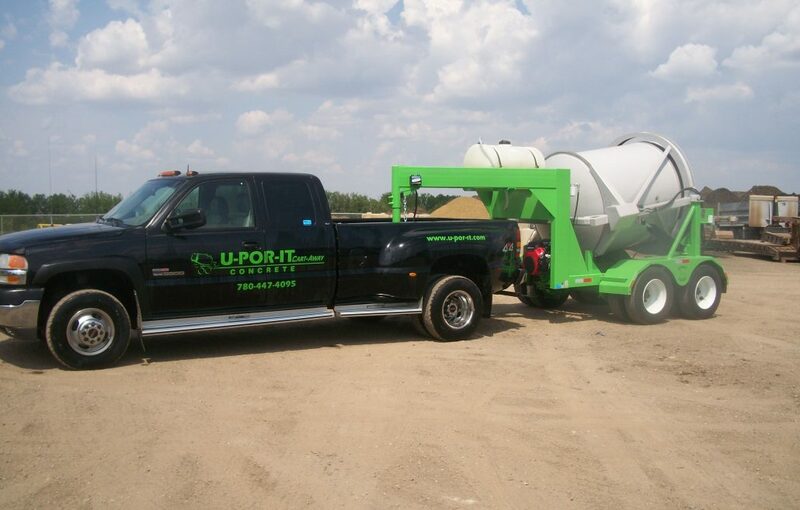 Loads over 2 yards MUST be delivered by U-POR-IT Cart Concrete. Delivery charge is $150 which includes travel to and from the jobsite and 1 hour onsite. Any time after that is a $75/hr charge. The cost of the cart rental is $25/Hr., up to a 4 hour rental. Loads over 2 yards MUST be delivered by U-POR-IT. Delivery charge of $75/Hr. 5-7% air entrainment included in concrete price. This is the cart used for loads of 1/4-yard to 2 yards. 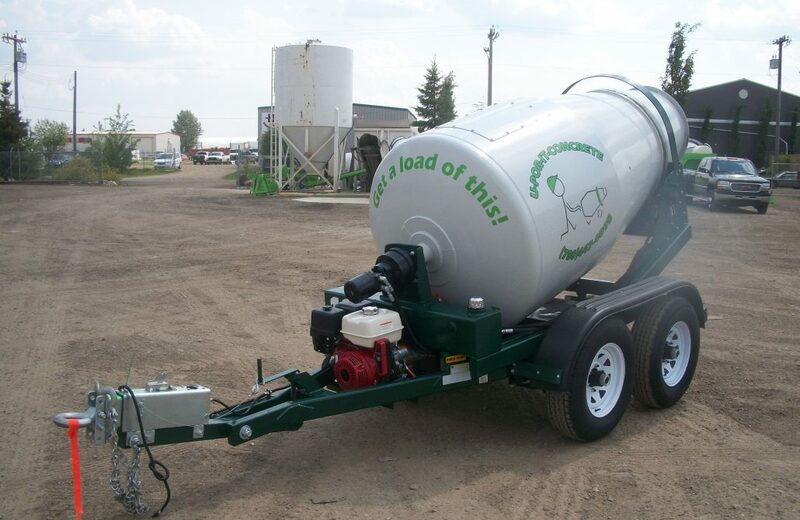 Use your own pick-up truck to haul this trailer, full of ready-mix concrete, to your job site. We deliver loads from 1/4 yards to 3 1/2 yards!